Ordering dorm supplies too late for shipment to your home? Just because you are leaving for college in 5 days doesn't mean you can't get dorm stuff, textbooks online, or those new shoes that you need. No matter what the purchase, you can ship it to your college. At Dorm Co we are often asked, “Can I ship it to my college dorm address?" It would seem that the answer "absolutely" is a given or an obvious answer, but there are a few reasons for the uncertainty. We address these concerns below. 1. Universities would rather you not get packages (online orders). That’s right, you are paying $5,000 to $50,000+ per year on tuition and room/board, and your college doesn’t want to be bothered with more packages. …Well, kinda. It’s not that they don’t want to be bothered, but rather the university infrastructure wasn’t built to support the online shopping craze that it is today. With small mail rooms, colleges are simply not equipped to handle high volumes of packages. These mail centers were often built years ago when college students only got an occasional letter from mom and dad, not a dorm room futon from Dorm Co. So then you might ask, “How do they make it work?" Instead of telling you that you can’t get packages, which would cause a fire storm, colleges simply put a limit as to how early you can ship packages to the college. Universities will hold your futon or other dorm supply shipments, but they put a scare in you by telling you that if your packages arrives too early (from the date you arrive) that they won’t accept the package. This fear alone is enough to make anyone not ship to college, but trust us when we say they won’t reject your package. Unless you send it over 2 weeks early, your college will hold on to your shipment until your arrival. The Good News is that we have never had a package get returned by a university for early arrival, and universities are starting to willingly accept the added volume. In some cases we’ve heard that they rent out semi-trailers to store all the extra shipments that arrive. Trust us … Your college will find a way. They know how important your happiness is and even more important to universities is their retention rate. The happier you are equals higher retention rates, which means the better a college looks. Universities know the high importance of having retention rates that rank among the best. 2. College addresses at first can be confusing. Sometime over the summer you probably got a letter with your college address or in the case of "green" colleges this came through as an email. Either way, your official college address to receive shipments and letters was given to you. If you can’t locate it, then you can always call the residence life office of your soon-to-be university. It should be simple to just use your newly given address as your ship to address when checking out your online purchase, but for a few reasons it is not. For starters the address is several lines and typical online ship to address fields are not set up in the perfect layout. The solution to this is easy as all you need to do is ensure all of your address is somewhere in the ship to fields. As long as you fit it, you are fine. Problem #2 is that savvy online shoppers know that FedEx cannot deliver to a P.O. BOX and now your college has just given you a P.O. BOX address. What to do?! First don’t worry, because what your university has given you is a COLLEGE BOX. They may even call it a P.O. 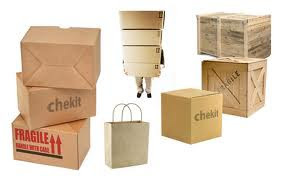 BOX, but Dorm Co knows it is really a COLLEGE BOX number, and your shipment can easily ship without trouble to your college. When your college post office gets the package they will put a note in your college box letting you know that your package has arrived. Just take the note, go to the counter and they’ll grab your package and you’ll be on your way. Now that we debunked some myths and concerns about online shopping and shipping to your college, we should probably get out of your way and say …. Happy Dorm Shopping!